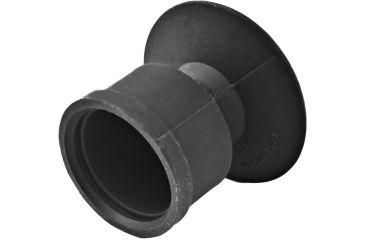 The Shuttered Eye Guard replaces the standard PVS-14 Eye Cup with a more covert unit. Wedge cut-outs block green back-splash created by the PVS-14 for better light discipline in the field. When the eye cup is pressed against the user’s face, the wedges pop inward, allowing the image to be scene. The Shuttered Eye Guard is best used when the Monocular is being used in a hand-held role.